Sometimes finding time to get dinner and make the movie can be tough. Why not combine the two in one location? These spots offer a great alternative for a fun night out with your significant other or friend. Beef & Boards has provided quality dinner theater since 1973. Each performance includes a dinner buffet and dessert. Beef and Boards also has a full bar to complete your dining experience. The productions at Beef & Boards vary, but each season features Broadway shows, concerts, and outstanding children's theater. If you're looking for a date night spot that is a little out of the ordinary, give Dave & Buster's a try. Dave & Buster's combines restaurant and arcade. There are hundreds of games to play and plenty of prizes to win. They even offer billiards and shuffleboard if arcade games aren't your style. The restaurant offers varied menu choices - including a full bar. Price: Purchase game cards and meals separately. It's still the traditional dinner and a movie but at Studio Movie Grill you can do both at once. Relax and enjoy a first-run movie while dining on an Angus burger, specialty pizza or a steak. Their menu prices are comparable to a pub. A great date night spot, the Studio Movie Grill is a unique experience. Voted one of the “Top 100 Jazz Clubs in the World” by Downbeat Magazine, The Jazz Kitchen features the best in local, regional and international jazz entertainment. Their menu includes New Orleans favorites, Latino cuisine, and Midwest flair. 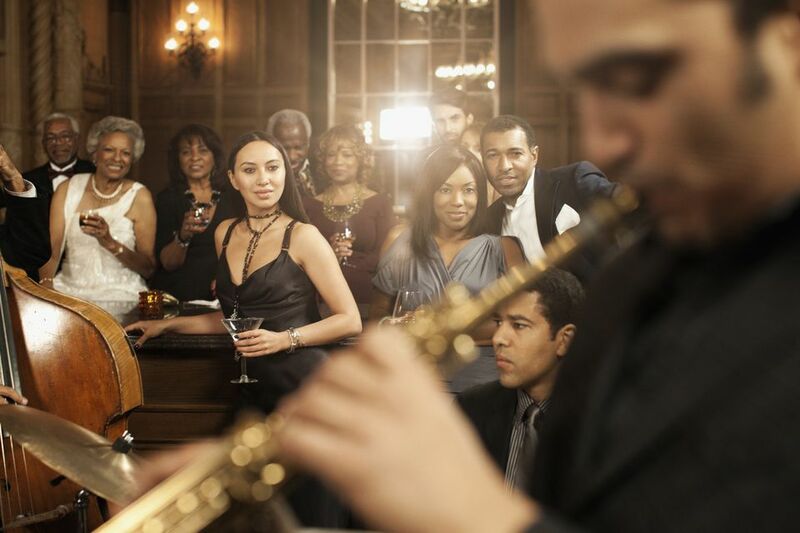 Guests can dine while enjoying the smooth sound of jazz. Visit their website for a list of upcoming performances. If you're feeling a bit sleuth, you might want to check out The Mystery Cafe. Specializing in murder mystery dinner theater, the Cafe provides both a meal and entertainment. And you're part of that entertainment. Each play unfolds in four acts, with a course served after each one. Members of the audience may participate as much, or as little, as they like in the mystery. The cost of dinner is included in the ticket price. The Rathskeller offers traditional German food and some of the finest entertainment in the city. This restaurant features live entertainment Wednesdays through Saturdays and special performances throughout the year. What Was the Broadway Palm Dinner Theatre? Surprise! It's Fun in Surprise, AZ!